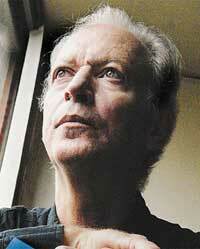 Anthony Henman, independent scholar, author and activist, is one of the pioneers of the sociological discussion on drugs in Brazil. He was born in São Paulo to an Argentine mother and English father, and earned his Masters in Anthropology from Cambridge University. After traveling to Colombia in the early 1970s he began studying the traditional uses of coca among the Paez of Cauca, Colombia. His pseudonymously penned book based on this research, Mama Coca (1978), is one of the first contemporary academic works to address the issue of the indigenous uses of coca leaf and denounce the cocaine industry. 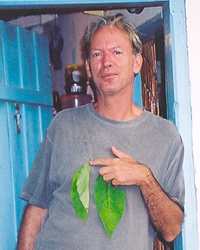 Aside from coca, his research topics have included the use of diamba (Cannabis sativa) among the Tenetehara Indians of Maranhão; the União do Vegetal ayahuasca religion; guaraná among the Sateré-Maué; heroin and cocaine use in Europe and the United States; Psilocybe semilanceata mushroom in Wales; and harm reduction policies. He also served as Executive Secretary of the International Anti-Prohibitionist League. Prior to retreating from formal academia, Henman taught at the University of Cauca, Popayán, Colombia, and the Institute of Philosophy and Humanities at the State University of Campinas, Brazil (IFCH-UNICAMP). He has been a researcher and consultant on psychoactive substances for the State Council on Narcotic Drugs of São Paulo (CONEN-SP), the European Parliament, the World Health Organization, the Geopolitical Drug Observatory (Observatoire des Drogues Géopolitique, Paris), and the AIDS prevention program of New York state's Department of Health. Today Henman is dedicated to research on the master plants of Peru, especially coca (Erythroxylum coca), the San Pedro cactus (Trichocereus/Echinopsis spp. ), and huilca (Anadenanthera colubrina). "...I think anti-prohibitionists should face squarely the uncomfortable political fact that what we are defending is actually the right to alter your consciousness if you want to and without any obligation to do so in some spiritually uplifting manner."